It seems like a ton of horror movies come out every year, and most times, they don’t live up to their potential. There are a handful of horror movies over the last decade that really satisfy us horror fans. 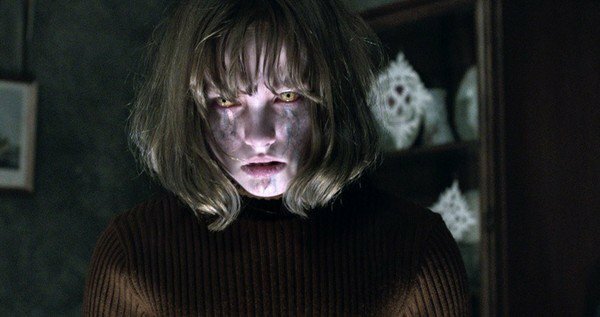 Films like ‘The Babadook‘, ‘It Follows‘, and ‘The Conjuring‘ will still be talked about for years to come. One name in the horror genre, or at least in recent years is James Wan. This man burst onto the scene with ‘Saw‘, which was basically genre changing and spawned a ton of sequels. Wan also made a few other horror films, all testing the bounds and pushing us into a new horror direction, while still respecting his influences. I can easily say that James Wan’s name belongs up there with the likes of John Carpenter and Stephen King. The guy knows horror and how to execute it so well that his images will continue to haunt for many years to come. I’m glad he signed on to take on the Ed and Lorraine Warren investigations some years ago and gave us ‘The Conjuring‘ and now ‘The Conjuring 2‘, which was previously titled ‘The Enfield Poltergeist‘. If you’re unfamiliar with Ed and Lorraine Warren, these are two real-life people who were paranormal investigators and professors, who helped a lot of people from hauntings and possessions. Perhaps their most famous investigation was ‘The Amityville Horror‘, which is where ‘The Conjuring 2‘ starts out, as Ed and Lorraine Warren are investigating the house a few months after the Lutz family moved out. It’s here that Lorraine (Vera Farmiga) has a vision of something so sinister, that she makes her husband Ed (Patrick Wilson) promise that they are done with these investigations. That’s when things start to go awry over in England at the Hodgson residence where things go bump in the night and then some, as the mother Peggy Hodgson and her four young kids are subjected to moving furniture, screams, and much more. Ed and Lorraine hear of this and set out to England to help out, despite their previous promise, and then all hell breaks loose – literally. Running at over two hours, there are certain times where ‘The Conjuring 2‘ seems like its doing too much, but there is nothing bad about the movie really. It’s just that we’re put through so much suspense, horror, and terror, that by the final act, we are glad it’s over with. It’s not necessarily a bad thing, but it makes you exhausted by the end. Director James Wan is true modern master of horror. He uses the usual horror genre tropes, but makes them relevant and fresh all over again, whether it be a child hiding under the covers while something is hovering over you, or a possessed toy, and even ghostly visions. Most of these moments will leave a lasting and terrifying impression that will make it difficult to sleep at night, particularly a certain beastly nun. I still get shivers thinking about it. Wan also adds some comedy here, but is used sparingly, and is relegated to the time period. It was a nice breath from all the intense horror that was going on in the film. The score is fantastic and adds to every single moment of terror. It’s incredible that these stories are real and that you can actually research them, and Wan does an incredible job of adapting the material and making it entertaining and scary-as-hell. ‘The Conjuring 2‘ is a fantastic sequel and is an instant horror classic. 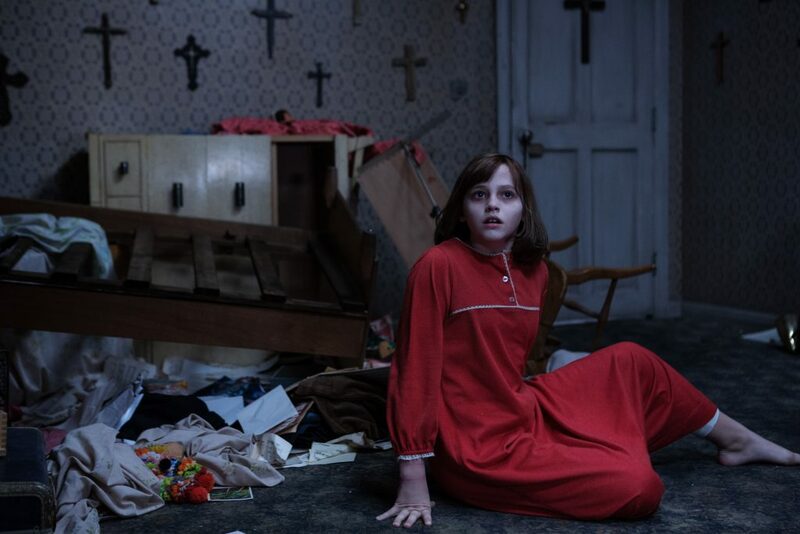 ‘The Conjuring 2’ Creeping Its Way To Theaters in 2016!!! This entry was posted on Wednesday, June 8th, 2016 at 2:56 pm	and is filed under Film, News. You can follow any responses to this entry through the RSS 2.0 feed. You can skip to the end and leave a response. Pinging is currently not allowed. « Sacha Baron Cohen takes on ‘Mandrake the Magician’!